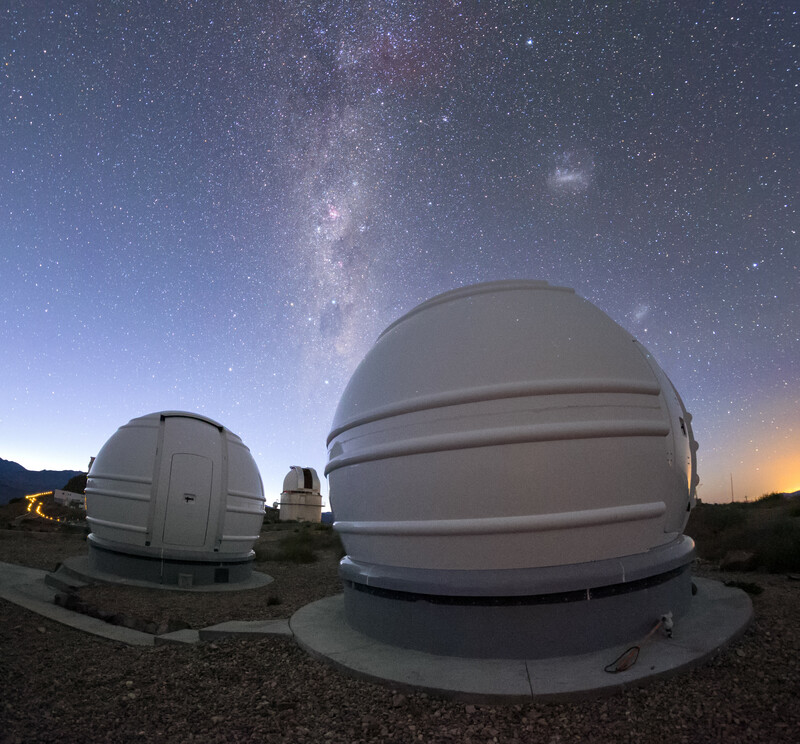 The ExTrA telescopes are sited at ESO’s La Silla Observatory in Chile. 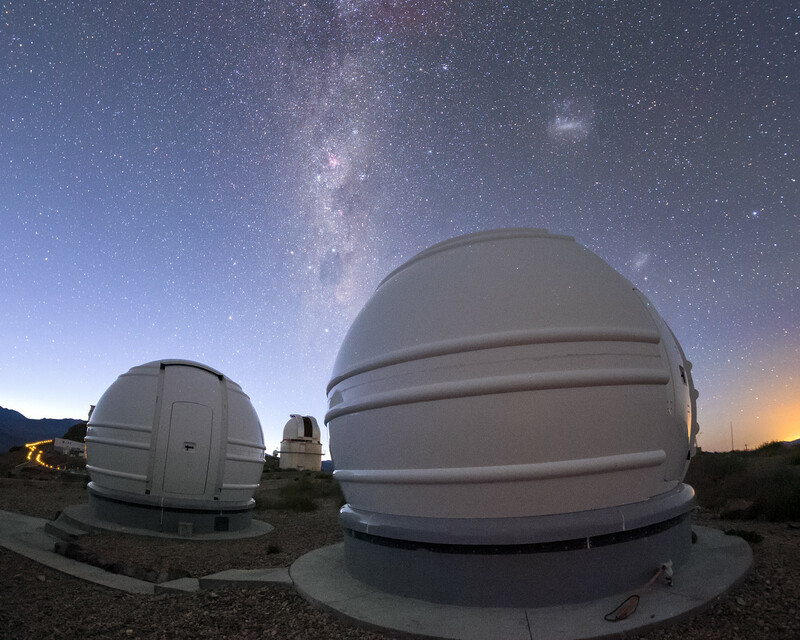 They will be used to search for and study Earth-sized planets orbiting nearby red dwarf stars. 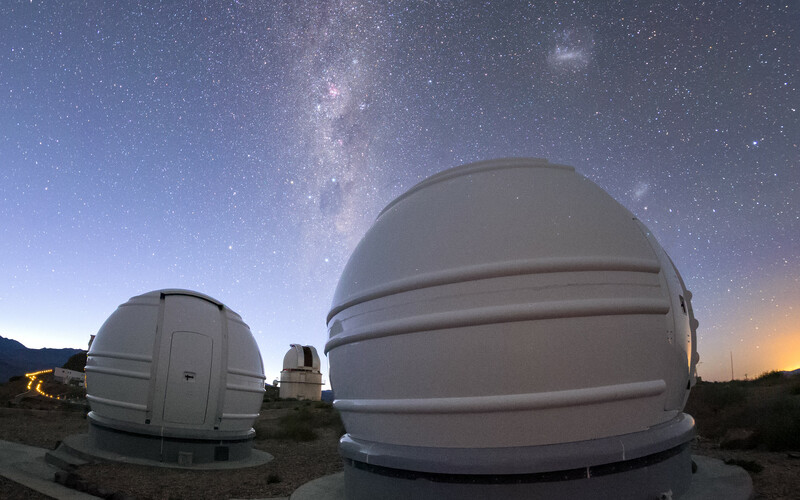 ExTrA’s novel design allows for much improved sensitivity compared to previous searches. 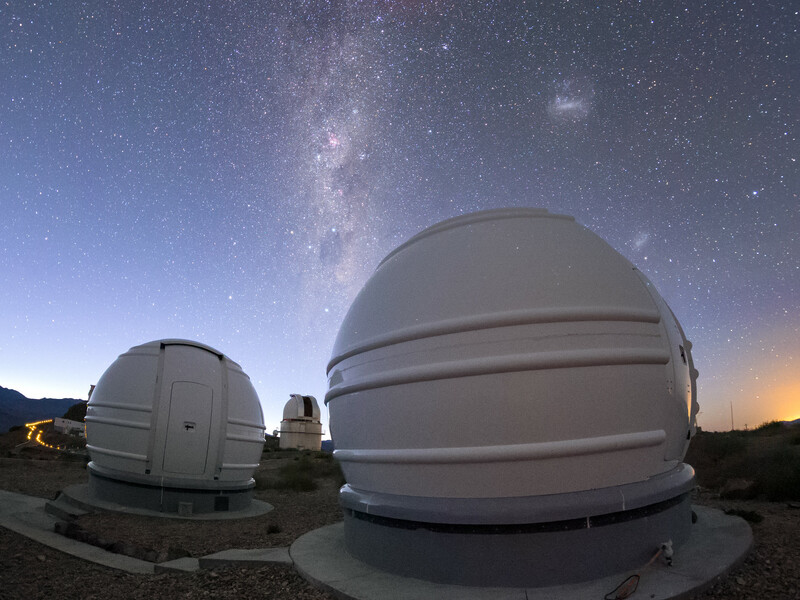 This view shows two of the three ExTrA domes with the Milky Way and Magellanic Clouds visible above.